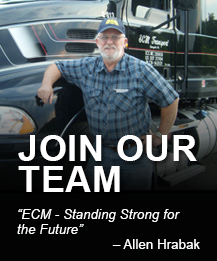 ECM TRANSPORT is committed to servicing our customers. Hitting "Submit" will generate an email to ECM TRANSPORT's Customer Service group. Please send this email and we will follow up with you promptly.